As writers, we are very protective of our own creations. But when we perform research on a topic and come across the perfect passage on a website, or an image that perfectly captures the essence of the point we are trying to make, sometimes it can be tempting to just copy and paste it into our own content. With that one move, however, you commit copyright infringement — which could cost you your reputation and your business. Since it can be difficult to determine whether or not you’re committing copyright infringement, you may violate someone else’s copyright even if you don’t intend to. What if a website does not display a copyright notice? Does “fair use” allow you to use someone else’s copyrighted work? If you use a copyrighted work without permission from the copyright owner, it’s infringement. Period. It can be costly just to be accused of copyright infringement. You may have to hire an attorney to defend yourself in court. If you settle out of court, the amount you might owe could bankrupt you or your business. Plus, it often takes a fair amount of time to resolve an allegation of copyright infringement. 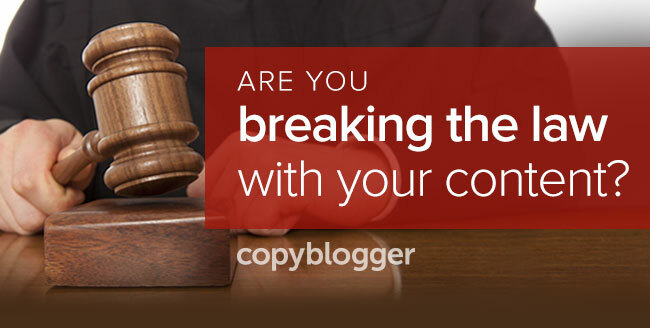 Knowing how to proceed when you encounter someone else’s copyrighted work can help keep you out of trouble. Permission to use a copyrighted work should be in writing, and should detail exactly what you can and cannot do. Derivative works include altering someone else’s article to include your point of view, or editing a photo you find online to personalize it. They have special meaning under U.S. Copyright Law. While copyright does not protect every generic character (you’re allowed to have a princess in your story), copyright protection may extend to original, well-defined characters (think of princess characters belonging to the Walt Disney Company). To be safe, it’s best to develop your own original characters. Keep in mind that in some cases copyright protection can last for more than 100 years. For example, many songs, movies, books, and other works from the 1900s are still subject to copyright protection, but an original work by William Shakespeare is in the public domain. If someone adapts one of Shakespeare’s plays, the adaptation may still be subject to copyright protection, even though the original Shakespeare work is in the public domain. Permission to use a copyrighted work needs to be in the form of a written license agreement. The license specifically sets forth how you can use the work — and you shouldn’t use it any other way. For example, if the license says that you can use a photograph in one particular blog post, then don’t use that same photograph in other blog posts or on social media sites. If you want additional permissions (such as using an image on social media), then be sure the license grants you permission for those other uses. Taking the time to actually read the license that comes with images can answer many questions about what you can and can’t do with the copyrighted work. If the license is unclear, ask the copyright owner for clarification (and get the additional details in writing). Don’t try to interpret the license in your favor. The copyright owner may have had different intentions — and then it could be up to a judge or jury to decide whether or not you committed copyright infringement. Unfortunately, most people believe the “fair use” limitation and exception in copyright law applies far more often than it actually does. “Fair use” has special meaning as defined in Section 107 of U.S. Copyright Law. However, proving “fair use” is not as straightforward as it may seem. There is no rigid test, and courts will look to the specific facts of each case to determine whether or not the “fair use” defense applies. Can you use the names of celebrities or brands? The answer to this question is not strictly a copyright issue and also involves the laws of free speech, defamation, trademark, and other areas of the law. While it is generally acceptable to use the names of celebrities and brands to state facts in a neutral or positive light, be careful not to damage anyone’s reputation. Also, make sure you don’t use someone else’s name or trademark to imply endorsement of your own product. Endorsements cost big bucks, and the people and companies behind those endorsements monitor for anyone taking advantage of their names or trademarks without permission. Navigating the world of copyright can be tricky. But following a few common-sense rules can help keep you out of trouble. The bottom line is to respect other people and their work, just as you would like to have others respect you and your own work. Editor’s note: To discover ways to protect your digital content, make sure to also check out Rachel Rodgers’s article, Are These 4 Common Legal Mistakes Putting Your Content at Risk?. Mark Trenner is an intellectual property law attorney in Colorado. Mark founded his own law firm in 2004. He helps small businesses, start-ups, and entrepreneurs add value to their businesses by leveraging the legal protections afforded by the copyright, trademark, patent, and trade secret laws. This article is intended only as general information and is not legal advice. Seek the advice of an attorney if you have any questions or need assistance. For more information about the author, visit the Trenner Law Firm website.